What better way is there to top off a beautifully long, hot, summers day than firing up the barbecue and sitting back? Nothing is more enjoyable when the sun is shining than socialising with your friends and family in the comfort of your own garden, enjoying some great burgers and sausages, all thanks to your barbecue grill. Pairing a great view of the vibrant coloured plants in your garden and the warmth of a summer’s day, it truly is hard not to have memorable summertime fun with the people that matter most in your life. 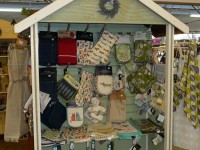 If you want to achieve a great summer experience with your family, neighbours, friends, and others, visit Everton Nurseries today. We offer the equipment and supplies that produce barbecues Hythe residents love. 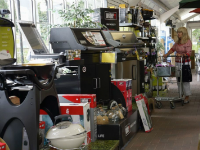 By offering a wide range of the best equipment and supplies, we ensure that the barbecues you host will be very much like the great barbecues Hythe homeowners have been hosting for many, many years. Make sure you have the right equipment, the right supplies, and, of course, the right planting materials and gardening equipment to ensure the right summertime ambience in your backyard for your visitors. Make no mistake about it, planning barbecues Hythe residents would look back on for many years to come doesn't have to be hard. 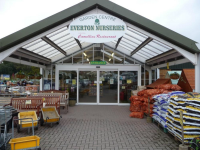 Just visit Everton Nurseries today and get on the road to better barbecue fun for you and your loved ones. All it takes is a little bit of planning, the right shopping list, and a sense of adventure to turn your regular summer barbecue to something you'd look back fondly to for a long, long time.